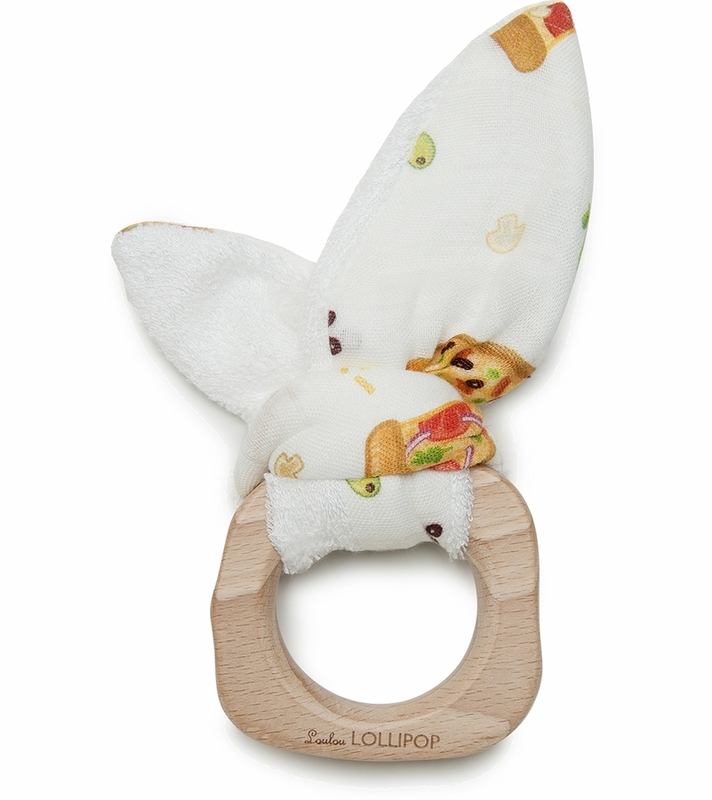 Bunny Ear Teething Ring in Loulou Lollipop's signature prints. 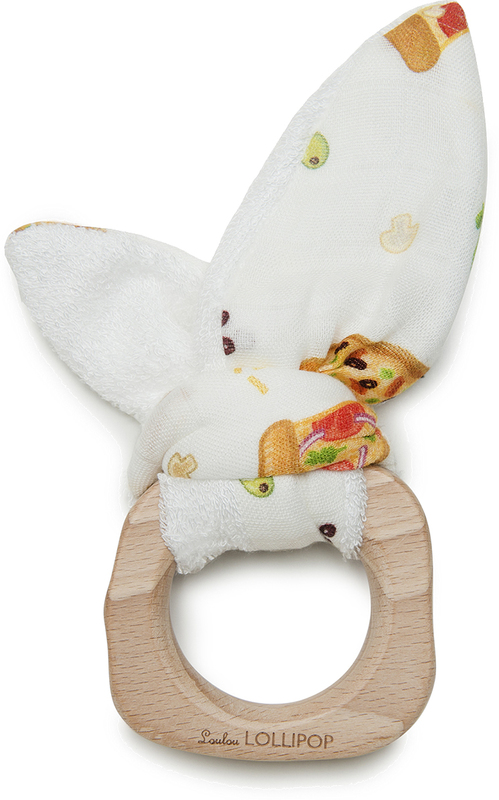 Dip the bunny ear in some water and chill it for added teething relief. Your little munchkin will love it.